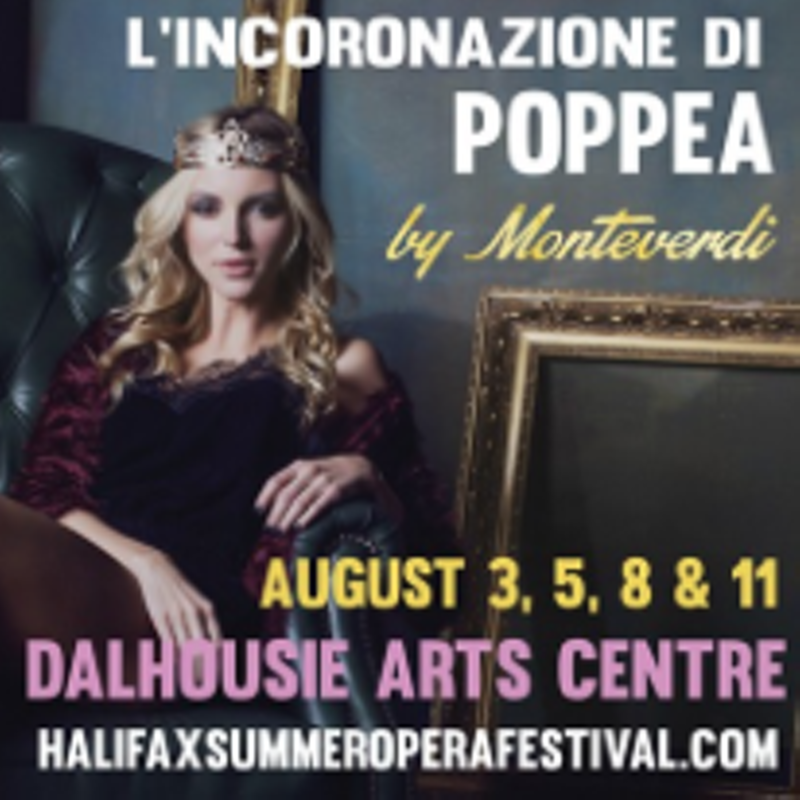 The Halifax Summer Opera Festival kicks off with a baroque bang, performing Monteverdi's milestone work that was the first opera to be based on real historic figures and not mythology. 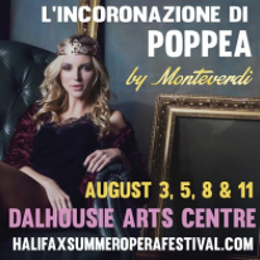 Performed in Italian with projected English translations, the fest promises "Our modern noir production brings these morally ambiguous characters to vivid life, in a wonderfully intimate venue. With live musicians, wonderful young singers and some of the most beautiful music ever written, this will be an extraordinary event."